Grow it. Photo it. Upload it. Enter It! …Share it to Win Big Cash Prizes! Over €40,000 in cash and prizes including a grand prize €7,500 Judges’ Cup winner and many other cash awards, gift vouchers, seeds, merch and more throughout the year! Increase your chances and enter to win with as many photos as you like. The “Seedsman Photo Cup” is one huge Photo Competition – with two great ways to win and take your shot at over €40,000 (€35,000) in cash and prizes! “Judges’ Cup” winners will be selected by a panel of experts led by world renowned cannabis cultivator, writer and expert Jorge Cervantes. Winning photos will be selected by our experts based on image quality, lighting, composition, setting and creativity as well as the quality of the plant. “People’s Cup” winners will be determined by most votes from your own fellow growers and enthusiasts, family and friends! The pics in the Photo Cup Gallery receiving the highest number of votes will win great cash, vouchers, seeds and more! 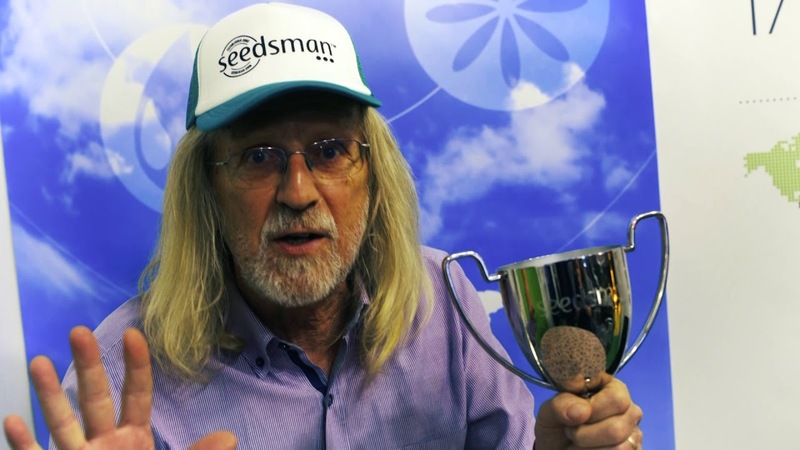 Share the Competition with all your friends and family – get them to vote – and you too could be one of Seedsman’s big winners! To view full Terms and Conditions of competition see Terms and Conditions. Open to professional photographers and amateurs alike, we want to see your best shots. Take photos at all stages of your grow – from sprouting to flowering to harvesting, we want to see them all! We’d also love to see the finished product and artful pics of use or consuming too. Increase your chances by entering with as many photos as you like, now through November. Be sure to share to get voted best Canna-shot! Prizes will be awarded every two months, now through November, so keep entering your photos and sharing the Gallery link to your friends and family to win! Awards to be given in May, July, and September and the Grand Prize of €7,500 as well as other major awards presented 22nd November. Jorge Cervantes is the nom de plume of George Van Patten, an American horticulturist, publisher and writer specializing in cultivation of medical cannabis. Van Patten self-published the first edition of Indoor Marijuana Horticulture in 1983, now considered to be the “Grower’s Bible” published in seven languages and used today by Cannabis Universities in the USA, Canada, South America as their main textbook. Cervantes continues to write feature articles for High Times, Soft Secrets, Canamo and a menagerie of other magazines and is the recipient of the Lester Grinspoon Lifetime Achievement Award, High Times, November 2013. Show us your Best Shot – Enter to win Seedsman Photo Cup! The “Seedsman Photo Cup” including Judges’ Cup and People’s Choice Competitions will begin 20th March, 2019 and end 20nd November, 2019. Winners will be announced throughout the year, with cash and prizes to be determined in May, July, and September, with the Grand Prize of €7,500 as well as other major awards presented 22nd November. If you are looking to promote the Photo Cup (both entries and voting) you can find resources on this page. In addition contact details for our PR and Marketing team can also be found here. Winners for the “Judge’s Cup” will be decided by a Panel of Judges selected by Seedsman to include leading expert Jorge Cervantes. Photos selected for the Judge’s Cup will be evaluated on the basis of image quality (sharpness, lighting, etc), creativity of composition and setting, as well as quality of the plant based on health, appearance and size. All decisions of the Seedsman judges will be final. “People’s Choice” winners will be selected through a public voting system by visitors to the Gallery hosted at Seedsman.com. Winners will be contacted within 48 hours of the Judges’ decision. Entrants must claim their prize by responding to the email communication within 72 hours in order to make arrangements for the delivery of their cash prize, gift or other award. Photos must be of a high quality, ideally high resolution and can be uploaded from any device or shared from your social media, providing they are your own, original photos. Images can depict any of the development stages of the grow from sprouting/germinating, vegetative, flowering, and cultivated/harvest to the finished product as well as your creative images of use/consuming. All images submitted to the competition MUST be original, created/authored and owned by the entrant submitting them and not taken from another owner or source including social media. By entering the competition, entrants represent and warrant that the images are original, created/authored and owned by the entrant. In case of breach, the entrant agrees to indemnify Sponsor for any damage. Photos will be judged on the basis of image quality for their sharpness, lighting, composition, setting and creativity in addition to the quality of the plant based on health, appearance and size. All images should include the strain name in their file name plus any other relevant information you’d like to include such as age of plant, stage of growth, growing condition (indoor, outdoor, etc). Depending on the method of submission, it may also be possible to include a caption with additional information. Entrants may enter as many unique images as they wish, providing each image meets the criteria of the competition. Multiple submissions of the same image are not permitted and will not improve chances of winning. By submitting an image for entry, the entrant accepts the Terms and Conditions of the competition and grants Seedsman and its affiliate companies unlimited non-exclusive use of the images for activities in all media, including social media, online and print, in relation to the contest, seedsman.com and all promotional activities, without any remuneration being due regardless of whether a prize has been awarded or not. Anyone 18 years of age or older. It is your responsibility to check with laws in your local jurisdiction to ensure you are eligible to participate. By completing the form and entering the Competition, you accept the Terms and Conditions of the Competition. Full Terms and Conditions can be found here. Photos can be uploaded as a file from any type of device, or entered from a pre-existing photo on Facebook, Instagram or Twitter providing it is your own photo. Submissions must be entered through the competition widget or competition page at www.seedsmanphotocup.com. It is not necessary to submit the same image twice as entries will automatically be considered for both the Judges’ Cup and People’s Choice Awards. Submissions imported to the Gallery with #seedsmanphotocup without going through the competition page entry form may not be eligible for entry.